The Take Five! Staying Alert at Home and School book offers all kinds of activities to support self-regulation. Five chapters of the book cover the five ways to change how alert one feels: mouth, move, touch, look, listen. All of the activities are user-friendly and geared toward parents or teachers (or therapists) to use in homes or schools (or therapy settings). Read more in our Blog. The Test Drive: Introducing the Alert Program® Through Song includes a book and CD with songs. 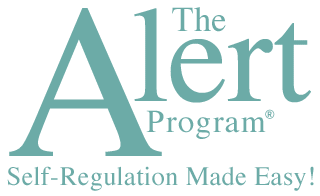 This was written for a parent, teacher, or therapist who wants the fastest way to teach the Alert Program® concepts. The book gives specific suggestions of how to use the songs to help children to learn how to change how alert they feel. All songs are toe-tapping fun and educational. Read more in our Blog.